When I was a kid my favorite ice cream was Rocky Road. I liked the chocolately marshmallowy crunchy combo, so naturally I fell in love with the classic s’mores. Whenever we went camping the campfire s’mores was my favorite part! Now you don’t need a campfire, or to even go camping, to enjoy the beloved childhood fav. 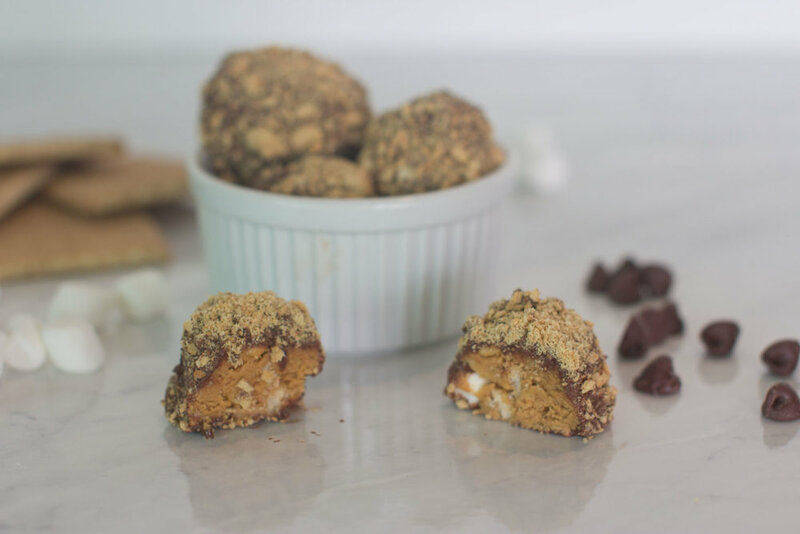 Since then I’ve tried a lot of different spins on the classic and this no-bake s’mores protein ball recipe doesn’t disappoint! TIP: WET THE MEASURING CUP WITH WATER BEFORE USING THE PEANUT BUTTER AND THE HONEY; THIS CAUSES THE EXCESS TO SLIDE RIGHT OFF THE CUP! In a bowl, mix together peanut butter and honey. 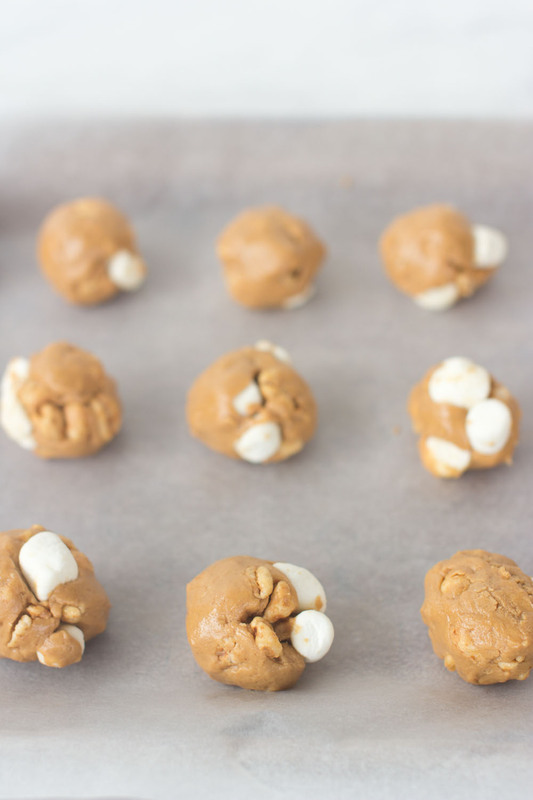 Add in the protein powder, puffed rice, and marshmallows, and mix together with your hands. Yes, it gets a little messy so just have fun with it! Take a small amount of mixture and press into balls, place on silpat or parchment paper. Place a toothpick in the center of each ball (optional) for easier dipping. To melt chocolate, combine chocolate chips and oil (to thin out the chocolate) and melt in a small bowl in the microwave in 30-second increments, stirring after each 30 seconds. Using a toothpick inserted into each ball, dip each ball in the chocolate until covered (but not totally dripping). Once the ball is spread with chocolate, roll in the graham crumbs. Store in an airtight container in the fridge for 30 minutes to set. Enjoy! Store leftovers in an airtight container in the fridge, if you have any!